Walmart unlimited shipping program: Half the price of Amazon Prime. Walmart’s Answer to Amazon Prime Is Here. And It’s Way Cheaper. Fulfilling all your Walmart dreams. A decade after Amazon launched Prime, its signature membership and free shipping program, Walmart has a rebuttal ready: unlimited shipping for half the price. Walmart said Wednesday that it will begin limited tests of a subscription shipping program for online shoppers. Those who sign up for the $50 annual service will get unlimited free three-day shipping on more than 1 million of Walmart’s top-selling items, with no minimum purchase required. When it comes to all things digital, Walmart knows it needs to do better to keep up with the likes of Amazon, and last fall it announced plans to accelerate investments in e-commerce. The company said it would spend between $1.2 billion and $1.5 billion on those online efforts this year—a big increase from last year’s $1 billion. 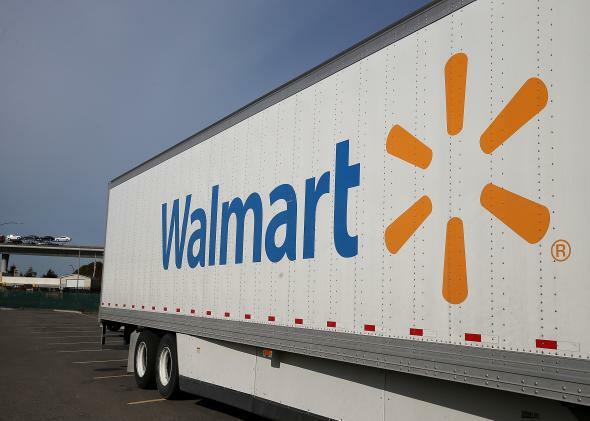 In a sign of how the retail market is swinging, Walmart added that it would continue building new fulfillment centers to speed up delivery for online orders, but offset increased e-commerce costs by adding fewer square feet to its physical stores. Walmart currently offers a grocery delivery service in five markets, including Phoenix and Huntsville, Alabama. The company also has a “site to store” program that lets customers place orders online and then pick them up for free at a local store. Walmart says that a third of its online orders “somehow touch the store,” meaning the merchandise is either picked up directly at a store, or shipped to customers from a store rather than one of the company’s fulfillment centers. While Walmart’s new delivery service will be available for half the price of Amazon Prime, which costs $99 a year, that alone seems unlikely to convince Prime patrons to switch allegiances. For starters, three-day shipping is slower than the standard two-day delivery—and, in select markets and items, two-hour delivery—that Prime provides. Walmart’s 1 million eligible items also likely won’t compete with the estimated 20 million things available on Prime. Then there’s the fact that Amazon Prime now offers many more perks than just delivery—streaming music, streaming movies, and access to the Kindle library, to name a few. But it’s also possible that Walmart’s shipping service isn’t really trying to go head to head with Amazon’s. At $50, it’s substantially cheaper, so it makes sense that it would offer much less that Prime. At the same time, Jariwala says the eligible items will include most basic consumables (things like toilet paper and soap and paper towels). If you assume, as Amazon has seemed to, that many people sign up for delivery services largely to keep those everyday necessities in stock, then Walmart’s $50 shipping subscription starts to look pretty good. You might not be able to get a horse-head mask delivered in two days, but if your main focus is replenishing essentials, why not try the cheaper service instead?